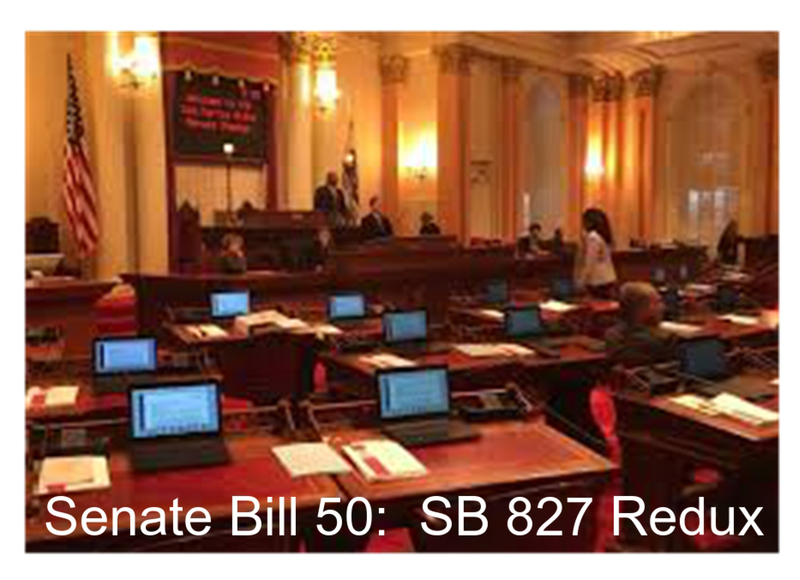 State Senator, Scott Weiner, has reintroduced his former and defeated Senate Bill 827 as Senate Bill 50 (SB 50), alarming many if this Bill passes, will destroy neighborhoods, affordable housing and open space. • Forces cities to allow luxury apartments in single family areas if developers include a few affordable units. • Allows developers to sue any city that tries to defend its community plans, historic zones or design standards. • Up-zones thousands of single-family areas within a 1/4 mile of a frequent bus stop or 1/2 mile of a rail station. • Cuts required parking to zero in luxury apartment complexes claims tenants will use public transit. • Raises questions on SB50’s claims it will protect “sensitive communities” from upheaval yet does not define what “sensitive communities” are. Councils and groups are now forming their opposition motions to SB 50 and links to those documents will be posted once they are made available. If you are so inclined, PreserveLA will conduct workshop on February 10th. For more information click here. Click here to read SB 50.